WElcome To The Metrowest Academy Of Jiu Jitsu! WE FOCUS ON DEFENSIVE TECHNIQUES FOR THE REAL WORLD. 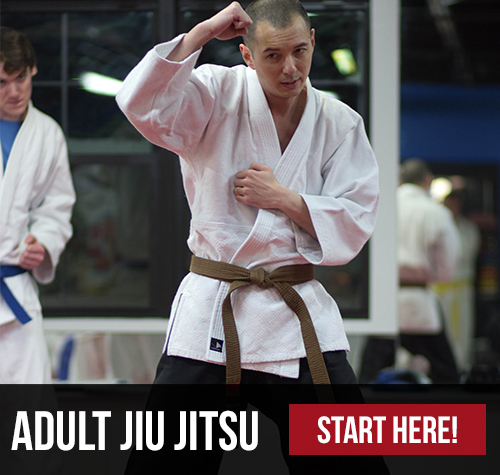 The Metrowest Academy of Jiu Jitsu is a leader in self defense classes in the Metrowest area. Our particular style of martial arts is derived from the traditional Japanese Hakko-Ryu Jiu Jitsu. The physical art of American Jiu Jitsu focuses on leverage, off-balance, and the knowledge of anatomy to overcome an attacker. Jiu Jitsu literally translated means “the Gentle Art” so while it is nice to have, size, strength, and flexibility, those are not required to unarm an attacker. We are primarily a stand up Jiu Jitsu style with an emphasis on standing defense, defense against weapons, ground defense and multiple attackers. There are many styles of martial arts that are cool to watch, (Karate, Aikido, Tae Kwon Do, Kung Fu) and many that focus on sporting elements (Brazilian Jiu Jitsu, Judo, MMA, Karate, Boxing and Kickboxing), but our primary focus is self defense for everyone. We are very lucky to have a diverse student base coming from Natick, Framingham, Wayland, Wellesley, Sudbury, Newton and even as far as Springfield. At the Metrowest Academy, our goal is to always have you Smiling, Sweating and Learning!